I hope your 2016 is off to a wonderful start! We are getting back into the normal routine after all of the Christmas and New Year festivities. The time with family and friends was wonderful but a little part of me is happy to return to a semi-normal routine again. 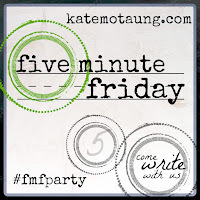 That means we're also back to the regular Five-Minute Friday this week and our word is "First". There are definitely perks to being the first. That's what I was thinking as I split up a toddler vs. baby "wrestling match" for the millionth time today. I am a firstborn and, whew, I had no idea how good I had it growing up! Our second is such a tough guy. He spends his days navigating life with a whirling, twirling toddler tornado. There is nothing gentle about that older brother. Our toddler's world turned upside down when his little brother was born and this whole sharing business – I'm sure he would rather do without that. But I can see deep down under his wild toddler exterior that he really loves that little brother. They are two peas in a pod, always together and I hope they grow up to be best friends (if they could just get along for a few minutes... at least!). The sibling squabbles, repetitive lessons in toy sharing and occasional moments of affection are good for our little guys. But I still think there are are perks to being the first! Aw! What cuties! Our daughters are 17 months apart, and they have always been best friends (they are now 21 and 23). Great post, Amy! You captured the kids beautifully! So cute! 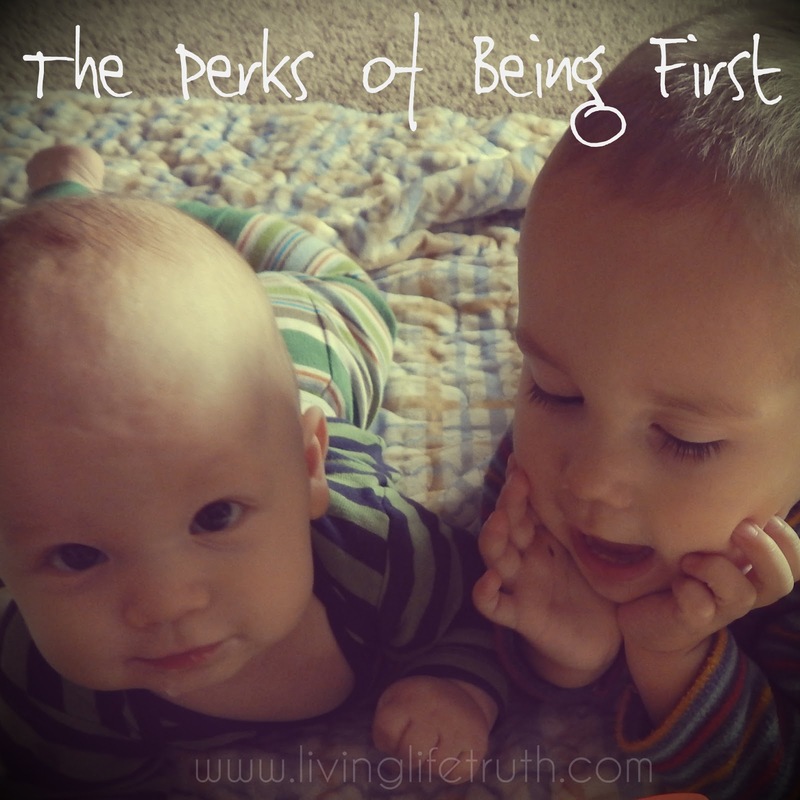 I agree there are perks to being the firstborn, with all that undivided attention. I hope to have more children, though, and I think some of those added firsts will be exciting and good as well. Your little ones sound so sweet! Our girls are 21 and 24 and still fight from time to time, but no one else had better say or do anything against their sibling! Haha! That's similar to the relationship I have with my brothers, Cathy :) We were best friends/best enemies growing up! In two years and eleven months time, my mama birthed 4 children. I was the oldest, then twin brothers, and a little sister pulling up the rear and my dander along with it! From the beginning, we never got along, my sister and I. Though there have been "moments", overall our relationship hasn't changed much at all. From my perspective, being the youngest had all the perks and being the oldest had all of the responsibilities. Our poor brothers were stuck in the middle of the "Sister Wars" and kind of got lost in the shuffle.